Obituary for Shirley A. Tucker | Collins Funeral Home, Inc.
Ms. Shirley A. Tucker was born December 12th, 1951 to the late Willie James Tucker and Evelyn Lottie Warren in Camden, South Carolina. 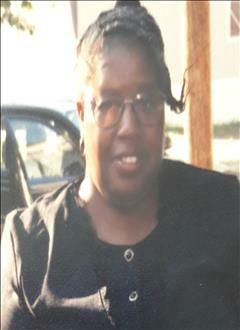 Ms. Tucker attended Kershaw county schools and received her diploma from Camden High School. She went on to work for the Rainbow Shop and Hardees. In her later years, she enjoyed being around people and walking around Camden. Those left to cherish her memory include her children, Willie James Tucker of Camden, SC, Stephanie Ann Lawson of Columbia, SC and Lester Junior Tucker of Camden, SC; grandchildren, Wyteria LaQuanza Lawson, Charlie Rashawn Lawson, Delvaughn Allen Lawson, Yce Endiamondz Lawson, TyQuan Lawson and Dalia Jamise Tucker; great grandchildren, Jayce Lenix Lawson and Kamaya Lawson; God-family, Adrienne Miller, Vernon Blanchard, Baskin Hollis Family and the Gary Family; Other relatives and friends.